The principle objective of this report is to analysis Shariah Based Islami Banking System, here focus on Islami Bank Bangladesh Limited. Other objectives are examine different banking activities compared with conventional banking system and cover a comprehensive analysis of foreign exchange operations of Islami Bank Bangladesh Limited. Report also focus on how IBBL has maintained growth in its banking business by maintaining and enhancing its relationship with its clients and analysis the performance of IBBL in every aspects. To acquire practical knowledge about the overall activities if IBBL. To examine different banking activities compared with conventional banking system. To study and understand the various services offered by this bank to its clients. To study how IBBL has maintained growth in its banking business by maintaining and enhancing its relationship with its clients. To know the performance of IBBL in every aspects. Both primary and secondary sources are used to collect necessary data. Primary sources include face-to-face interview with respective officers in general banking, investment and foreign exchange department. Secondary sources consist of several reading materials, such as journals, brochures and annual reports. I have not used any questionnaire to collect data. Oral and informal interview of officers and employees in IBBL. Printed forms and documentation supplied by IBBL. Booklets of international division of IBBL. Relevant books, journals, booklets etc. From the very beginning of commercial activities, business has been one of the key activities to generate income. The starting was with barter method and now a day up to service and information selling. To make it easier for the buyer and the seller banks have started their activities all over the world. A bank is an institution that borrows money from the surplus of the society and lends that money to the deficit unit for earning some interests. But Islam does not allow any Muslim to invest or earn money on the basis of interest (Riba). It is strictly forbidden by Allah according to Quran and Sunnah. So every sort of transaction must be free from Riba. But as a matter of fact all over the world it is a general practice and a featured service for the banks to compete. The subscribers also go for the banks providing more interests against their investments. In this scenario coming up with a new idea called “Shariah based banking system”, implementing the idea and surviving in this competitive commerce based world is really a brave approach. An Islam Bank is a financial institution that operates with the objective to implement and materialize the economic and financial principles of Islam in the banking area. Islamic bank means not business product but running business through money. It provides loan as Quard-e-Hashanah for social welfare. It gives Zakat on its capital according to Islamic Sharia. No form of work is done which is in Islamic etc. To establish Islamic Banking through the introduction of welfare oriented banking system and also ensure equity and justice in the field of all economic activities, achieve balanced growth and equitable development through diversified investment operations particularly in the priority sectors and less development areas of the country. To encourage socio-economic development and financial services to the low-income community, particularly in the rural areas. The vision of IBBL is to always strive to achieve superior financial performance, be considered a leading Islamic Bank by reputation and performance. To establish and maintain the modern banking techniques, to ensure the soundness and development of the financial system based on Islamic principles and to become the strong and efficient organization with highly motivated professionals, working for the benefit of people, based upon accountability, transparency and integrity in order to ensure stability of financial system. Try to encourage savings in the form if direct investment. Try to encourage investment particularly in projects, which are more likely to lead to higher employment. Islamic banking is not only to earn profit, but also to do good and welfare to the people. Islam upholds the concept that money, income and property belong to Allah and this wealth is to be used for the good of the society.Islamic banks operate on Islamic principles of profit and loss sharing, strictly avoiding interest, which is the root of all exploitation and is responsible for large-scale inflation and unemployment.Islamic bank is committed to do away with disparity and establish justice in the economy, trade, commerce and industry-build socio-economy infrastructure and create employment opportunity. To conduct interest-free banking system. Maintaining justice and equity at all level of transaction. To develop a healthy capital and money market. Alleviating poverty through profit sharing micro-finance. To invest through different modes permitted under Islamic Shariah. To extend co-operation to the poor, helpless and low-income group for their economic development. Islami Bank Bangladesh Limited was incorporated on 01.03.1983 and received its banking license on 28.03.1983. IBBL started functioning on 30.03.1983. The authorized capital of the bank is TK. 50.00 crores and paid up capital is TK. 32.00 crores. Inspired by the success of IBBL five other Islamic banks namely Al-Baraka Bank, Social Investment Bank, Al-Arafa Islami Bank, Faisal Bank, and Exim Bank have established in Bangladesh. Prime Bank has established Islamic Branches. This statement of the president indicated favorable attitude of the government of the People’s Republic of Bangladesh towards establishing Islamic banks and financial institutions in the country. Earlier in November 1982, Bangladesh Bank, the country’s central Bank, sent a representative to study the working of several Islamic Banks abroad. In November 1982, a delegation of IDB visited Bangladesh and showed keen interest to participate in establishing a joint venture Islamic Bank in the private sector. They found a lot of work had already been done and Islamic banking was in a ready form for immediate introduction. Two professional bodies Islamic Economics Research Bureau (IERB) and Bangladesh Islamic Banker’s Association (BIBA) made significant contributions towards Introduction of Islamic banking in the country. They came forward to provide training on Islamic banking to bankers and economists to fill up the vacuum of leadership for the future Islamic banks in Bangladesh. They also held seminars, symposia and workshops in Islamic economics and banking through out the country to mobilize public opinion in favor of Islamic banking. Their professional activities were reinforced by a number of Muslim entrepreneurs working under the aegis of the then Muslim Businessmen in society (now reorganized as industrialist & Businessmen Association).The body concentrated mainly in mobilizing equity capital for the emerging Islamic Banks. At last, the long drawn struggle, to establish an Islamic bank in Bangladesh becomes a reality. 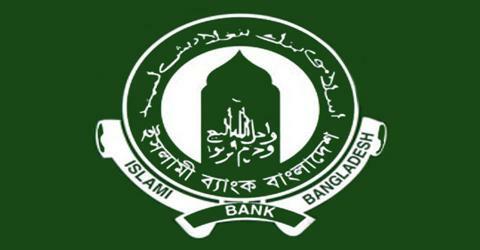 Islami Bank Bangladesh Limited was established in March 1983. In which 19 Bangladeshi nationals, 4 Bangladeshi institutions and 11 banks, financial institutions and government bodies of the middle east and Europe including IDB and eminent personalities of the Kingdom Saudi Arabia joined hands to make the dream a reality. Shariah Council of the bank is playing a vital role in guiding and supervising the implantation and compliance of Islamic Shariah principles in all activities of the bank since its very inception. The council, which enjoys a high status in the structure of the bank, consists of prominent ulema, reputed banker, renowned lawyer and eminent economists. Members of the Shariah Council meet frequently and deliberate on different issues confronting the bank on Shariah matters. They also conduct Shariah inspection of branches regularly so as to ensure that the Shariah principles are implemented and complied with meticulously by the branches of the bank. The functions of the council are to offer views and opinions on matters related to the bank from time to time. The council may require any paper document from the bank and examine the same to see whether it is according to see whether it is according to Islamic principles. The Shariah council assists the Board of Directors by advising them on matters related to Shariah. The opinion of the majority of members is taken as the opinion of the council provided that the said opinion is supported by at least three Muftis of the council. The council maintains its secretariat and a well-equipped library as the Head Office of the bank where it keeps proper records of all of its proceedings and decisions. The council elects a chairman and a secretary from amongst them. The chairman will normally preside over the meetings. In his absence the members present elect one of them to preside over the meetings. The council may whenever it thinks necessary, constitutes a sub committee to help the council. The council issues Shariah Certificate in the Annual Report of the bank. 1. The functions and operating modes of conventional banks are based on manmade principles. 1. The functions and operating modes of Islamic baks are based on the principles of Islamic Shariah. 2. The investor is assured of a pre-fixed interest. 2. It promotes risk sharing between depositors and the user of the funds. 3. It aims at maximizing profit without any restrictions. 3. It also aims at maximizing profit under Shariah restrictions. 4. Lending money & getting it back with interest is the basic functions. 4. Participation in partnership business is the basic functions of the Islamic banks. 5. It charges additional money in case of defaulters. 5. It has no provision to charge any extra to the defaulters. 6. It gives more emphasizes on credit worthiness of the client. 6. It gives emphasizes on the viability of the projects. 7. Here the relation to its clients is only debtors and creditors. 7. Here the relation to the client is partner, investor & trader. As per Banker’s Almanac (June 2007 edition) published by the Read Business Information. Windsor Court, England, IBBL’s world rank is 1490 among 4500 banks selected by them. IBBL’s country rank is 5 among 39 banks as per ratings made by the above Almanac on the basis of IBBL’s financial statements of the year 2007. This internship program was in the job exposure and provided me with learning experience and knowledge in several areas. During the first few weeks of my internship period, I was able to get accustomed to the working environment of Islami Bank Bangladesh Limited. As the internship continued, I was not only accustomed to the activities and operations of correspondent Bank, but also gathered some knowledge about the basic business of banking in first one month of my internship period. Islami Bank Bangladesh Limited pursues decentralized management policies and gives adequate work freedom to the employees. This results in less pressure for the workers and acts as a motivational tool for them, also gives them encouragement and inspiration to move up the ladder of success. Overall, I have experienced a very friendly and supporting environment at Islami Bank Bangladesh Limited, which gave me the pleasure and satisfaction to be a part of them for a while. The account can only be opened with the introduction of any acceptable client/ current account holder of the Bank. In order to open Al-Wadeeah Current Account, a minimum amount of T 500/= is to be deposited and the minimum balance with minimum amount of Govt. tax is to be maintained in the account. The Bank reserves the authority to return cheque, if otherwise. The customer has to count the pages of the cheque book at the time of receiving the same. The book should be maintained safely so that no cheque may be misused or stolen or destroyed. The Bank will not be responsible for any forgery if occurred by the stolen cheque(s). The Bank records the instruction of ‘Stop Payment` with care. But the Bank will not be held responsible if any fraudulent withdrawal is/are made through stopped cheque(s). The Bank preserves the right to close the account without showing any cause. The changed address (if applicable) should be informed to the Branch immediately. The bank makes correspondence with the customer through postal services. The Bank will not be held responsible if any letter (cheque/bill) is not delivered in time or not delivered at all. The Bank consciously sums up the credit/debit of the account. If any amount is credited / debited through mistake, Bank can re-write the balance. Death Certificate regarding death of the account holder. Certificate from 2 (two) valued clients of the Bank or 2 (two) officers of the Bank or the Chairman/Ward Commissioner of the Union Parishad/Municipality in support of the identification of the nominee’s). Attested Passport size photographs of the nominee’s). Indemnity Bond (C.F.-12) duly executed by the nominee’s) under sureties of 2 (two) valued clients each good for the amount and acceptable to the Bank. is calculated on minimum monthly balance and the profit so earn is credited to the account half yearly in June and December each year. If cash withdrawals are made violating the aforesaid prescribed limit, no profit is to be paid on such account for that month in which the default takes place. These SB account rules are subject to changes from time to live. Statement of account is to be dispatched to the account holder on quarterly basis or the customer may request for. Such type of deposit is repayable after the expiry of a predetermined period fixed by the customer himself. The period varies from 3 months to 36 months. As usual, the prospective fixed deposit holder is expected to fill up an application form which contains the rules and regulations of the deposit .A banker does not insist upon a letter of introduction or reference for opening a fixed deposit account. At least Tk. 25,000/- is required to open such type of account. Profit on Mudaraba. Special notice deposit shall be credited to the account half yearly in June and December .No profit is to be charged if the balance stands less than Tk. 25,000. Individuals are permitted to deposit money in every working day. Withdrawals from this type of account require a prior notice of 7 days. It is also noted that IBBL are promised to invest this deposited money according to the Islami Shariah. Islami Bank Bangladesh Limited, in keeping with its welfare-oriented ideals based on Shariah Principles, has developed a deposit pension scheme named “Mudaraba Special Savings (Pension) Scheme”, in order to mobilize and encourage the middle and lower middle class professional and service holders to save as per their capacity for their old age when they will normally retire from their active service life who otherwise do not like to keep and invest their savings and funds in interest bearing deposit pension schemes.. Thus a substantial amount of Savings/funds remain out of the production cycle. The savings/funds of these people can play a vital role in capital formation and as a source of invisible fund for generation of income and increase of wealth of the individuals and of the nation. The scheme developed by Islami Bank Bangladesh Ltd. has already been accepted cordially by the lower and middle income group of people and thus it is expected to have great prospect in mobilization of small savings and funds for deployment in income and employment generating activities and business. In view of the above the Bank has introduced “Mudaraba Special Savings (Pension) Scheme”. Accounts under this scheme may be opened for monthly deposits of Tk. 100/-, Tk. 200/-, Tk. 300/-, Tk. 400/-, Tk. 500/-, Tk. 1000/-, Tk. 1500/-, Tk. 2500/- and Tk. 5000/- only. The deposit will be received on Mudaraba Principle. Hajj is one of the fundamental worship (Ibadah) of Islam. However, because of the prevailing socio-economic situation in the country, the people interested to perform Hajj cannot arrange the required amount of money at a time to perform Hajj. The desire of many to perform Hajj is thus never fulfilled. Over twenty five thousand devoted Muslims from Bangladesh perform holy Hajj every year. Financial solvency and physical fitness are the pre-requisites of performing Hajj. The majority of the people, however, reach the fag end of their life in arranging the required amount of money for Hajj Islami Bank Account’. and other non-trading and non-profit socio-economic institutions shall also be eligible to purchase bonds in the name of the institutions. Guardians shall be allowed to purchase bonds jointly with a minor mentioning the age of the minor. Mudaraba Savings Bond shall be available in tk. 1000.00, tk. 5000.00, tk. 10000.00, tk. 25000.00, tk. 50000.00, tk. 100000.00 and tk. 500000.00 denominations. Terms: 5 years and 8 years. Islami Bank Bangladesh Limited has introduced a new deposit product titled ‘Mudaraba Foreign Currency Deposit Scheme (Savings)’ under Mudaraba principle and endeavoring to invest the foreign currency funds in profitable way through its Foreign Correspondent Banks under Shariah Principle so as to enable the Bank to pay profit to its FC/PFC depositors, who will intend to open/maintain Mudaraba Foreign Currency Deposit (MFCD) Account particularly in US Dollar. This Scheme offers investment opportunities to wage earners and other private Foreign Currency Account holders who do not like to keep their funds in interest bearing deposit accounts or invest in interest bearing schemes. To encourage savings in Foreign Currency by offering a safe and profitable opportunity to the savers/investors by way of sharing a portion of the profit out of the investment of their funds as per principles of Shariah and to extend the Banks Deposit Scheme for mobilization of remittance of Bangladeshi expatriates to increase the opportunity for their income generation and increase in the wealth of individuals and of the nation through profitable investment as per Shariah principles are the special features of the Scheme. There is a substantial demand of monthly profit paying long term deposit schemes among the retired service holders and wage earners residing abroad who want to help their dependants and relatives by contributing a certain amount of money on monthly basis from the profits of their one-time deposit with the bank. Again there are persons who want to meet the day to day expenses of their families out of the monthly profits that may be received on their long-term deposits. Trusts and Foundations who desire to offer monthly scholarship and stipends to the students from the monthly generated profits of their funds deposited on long term basis with banks and parents who want to bear the educational expenses of children from the monthly profits of their savings are also very much interested for such a monthly profit paying deposit scheme.Islami Bank Bangladesh Limited, as a pioneer of welfare banking, is receiving demands from the vast majority of our clientele and many other Shariah abiding people for introduction of attractive monthly profit based deposit schemes on the basis of Islamic Shariah so as to encourage them to meet their above needs out of the earnings of their deposits. to their wives. Many of them are not aware about the necessity of payment of the deferred amount of Muhor so that wives have been remaining deprived of their fundamental right of Muhor. The wives are to forgive even the claim of the same. Although some of them are aware about it but they are not getting much opportunity to realize it from their husbands. The check should not carry a date older than the receiving date for more than 6 months. In that case it will be a ‘Stale Check’. Again the check should not be a ‘Post dated’ one. The amount both in words and figures of the pay-in-slip should be the same and also it should be in conformity with the check’s amount both in figures and words. The name mentioned both in the check and the pay-in-slip should be the same. Collecting banker must check whether endorsement is done properly or not. Depositing the cheque along with deposit-slip. Crossing of cheque are done indicating Mirpur Br. as a collecting bank. Endorsement “Payee’s A/C will be credited on realization” is given. Collecting bank can collect it either by its branch or by the drawer’s bank. They will forward the bill to that particular branch. OBC number will give on the forwarding letter. Now following procedures will take place in case of the following two cases. Branch sends the bill direct to the branch of IBBL by OBC schedule. Request them to send the proceeds by IBCA and collect the bill. That branch of IBBL can collect the through clearing house arrangement exists there. Request them to send a draft in favor of this bank by an OBC schedule. Then the bill is collected through clearing house process. According to the Article 37(2) of Bangladesh Bank Order, 1972, the banks which are a member of the clearing house are called as Scheduled Banks. The scheduled banks clear the cheque drawn upon one another through the clearing house. This is an arrangement by the central bank where everyday the representative of the member banks sits to clear the cheque. For clearing there is a department in every Bank. This department receives cheques, drafts and like instruments from its customers for the purpose of collection with a deposit slip over the counter crediting their accounts. Clearing of cheque is done through the clearing house in Bangladesh Bank. Everyday the first hour starts at 10:00 a.m. and returns house at 5:00 p.m.
Payee’s A/C credited Pay to Mr. X , Islami Bank Bangladesh Ltd.
Generally two types of crossing are practiced, namely- General Crossing and Special Crossing. Basically it gives a direction to the paying bank not to pay the check amount over the counter. General crossing includes ‘A/C payee’ crossing only. Drawing two parallel and transverse lines do it. On the other hand, special crossing is like general crossing but in addition bank name is also mentioned. This gives the direction to the same to pay the check only to the banker, whose name appears in the crossing or to his agent. Payee’s endorsement irregular/ require Bank’s confirmation. Payee’s endorsement irregular/ illegible/ required. Alteration in date/ figures/ words requires drawer’s full signature. Cheque is post dated/ out of date/ mutilated. Amount in words and figures differs. Collecting Bank’s discharge irregular/ required. Note: If the check is dishonored due to insufficiency of funds, Islami Bank Bangladesh Ltd. charges Tk. 10/= as penalty. Accounts department maintains all records of transactions and all types of statement. At the end of transaction hour all concerned section sends vouchers of transactions to this department. Accounts department compares all figures/ amount, contents of transactions with supplementary statement prepared by computer. If any discrepancy arises regarding any transaction then this department reports to the concerned department. To record all transaction in the cash book. To prepare daily, weekly, monthly, half-yearly and yearly fund position. To prepare monthly salary statement, provident fund statement and administrative expenditure statement. To make charges for different types of duty. The special feature of the Investment policy of Islami Bank Bangladesh Limited is to invest on the basis of profit loss sharing system in accordance with the tenets and principles of Islamic Shariah. Earning of profit is not only the motive and objective of the bank’s investment policy rather emphasize is given in attaining social good and in creating employment opportunities. The investment and credit department is very important department of a Bank. The money mobilized from ultimate surplus units are allocated through this department to the ultimate deficit unit (Borrower). The success of this department keeps a great influence over the profit of a bank. Failure of this department may lead the bank to huge losses or even to bankruptcy. So, special care should be given to this department. Bank landing is important to the economy. Adequate finance can maintain a stable output. But as liquidity and profitability are conflicting considerations, IBBL, as a bank, while employing the funds pays due regard to both profitability and liquidity. Investment and credit department receive application from clients in a prescribed application form supplied by the Islami Bank Bangladesh Limited. This application form contains detail about the borrowers such as names address of the borrowers/ directors/partners/proprietors, type and nature of the business, security offered, market of the borrower product, annual sales and production etc. The applicant must duly sign the application form. The branch officer after receiving the application form scrutinize the information provided in the form, collect additional financial information of the proposed firm, detail financial and other relevant information of sister concern, if any. After appraising the investment request and its securities the branch makes an investment proposal with detail information to the head office for approval. The officer in-charge and manager must sign this investment proposal as well. If head office approves the investment proposal, the branch prepares all documentation and make arrangement for investment disbursement Islami Bank (B.D) offer various types of investments. The terms “Bai” and “Muajjal” have been derived from two Arabic words. The word “Bai” means purchase and sale and the word “Muajjal” means a fixed time or a fixed period. “Bai‑Muajjal” means sale for which payment is made at a future fixed date or within a fixed period. In short, it is a sale on Credit. Bai‑Muajjal may be defined as a contract between a buyer and a seller under which the seller sells certain specific goods (permissible under Islamic Shariah and the Law of the country), to the buyer at an agreed fixed price payable at a certain fixed future date in lump-sum or within a fixed period by fixed installments. The seller may also sell the goods purchased by him as per order and specification of the buyer. The terms “Bai-Murabaha” have been derived from two Arabic words “Bai” and “Ribhun”. The word “Bai” means purchase and sale and the word “Ribhun” means an agreed upon profit. “Bai-Murabaha” means sale on agreed upon profit. hire agreement under which a certain asset is hired out by the Hire to a Hirer against fixed rent or rentals for a specified period. Thus, in Hire Purchase under Shirkatul Melk mode both the Bank and the Client supply equity in equal or unequal proportion for purchase of an asset like land, building, machinery, transports etc. Purchase the asset with that equity money, own the same jointly; share the benefit as per agreement and bear the loss in proportion to their respective equity. The share, part or portion of the asset owned by the Bank is hired out to the Client partner for a fixed rent per unit of time for a fixed period. Lastly the Bank sells and transfers the ownership of its share / part / portion to the Client against payment of price fixed for that part either gradually part by part or in lump sum within the hire period or after the expiry of the hire agreement. It is a form of partnership where one party provides the funds while the other provides the expertise and management. The first party is called the Sahib-Al-Maal and the latter is referred to as the Mudaraba. Any profits accrued are shared between the two parties on a pre-agreed basis, while capital loss is exclusively borne by the partner providing the capital. In lending, the most important step is the selection of the borrower. Due to the asymmetric information and moral hazard, banks have to suffer a lot due to the classified investments and advances, which weakens the financial soundness of the bank. If the selection of borrower is correct, that is, the borrower is of good character, capital and capacity or of reliability, resourceful and responsible; the bank can easily get the return from the lending. Consequently, monitoring is made much easier for the banker. From this point of view, IBBL follows the following procedures. Financial statements (balance sheet, cash flow statement, and income statement). Report from Credit Information Bureau of Bangladesh Bank if the amount is more than Tk. 10 lac. Borrowers ANALYSIS: Borrower analysis is done from the angle of 3-C (character, capital, capacity) or 3-R (reliability, resourcefulness, responsibility). It follows that the bank forms a rational judgment about the integrity of the borrower, which should be undoubted. The human skill, conceptual skill, operational skill is qualitatively analyzed. On completion of Appraisal as provided here-in-above, if the proposal is found viable, issue Sanction Advice mentioning all the terms and conditions in duplicate to the Client and endorse copies to Head Offices retaining one copy in the Client’s file duly accepted by the Client. If the Client duly accepts the Sanction terms and conditions, the particulars of the sanctioned proposal is allotted a Fixed Serial number for Client in the Limit Register as per limit Register which shall remain permanent irrespective of the Mode(s) so long as the limit remains valid and the Client continues business with the Bank. In case of Investment to the existing Client, obtain required papers, documents/application with the past performance & outstanding liabilities of the Client, if any & process/sanction the proposal as per instruction lay down here-in-above after due evaluation/study. Documentation can be described as the process or technique of obtaining the relevant documents. In spite of the fact that banker lends credit to a borrower after inquiring about the character, capacity and capital of the borrower, he must obtain proper documents executed from the borrower to protect him against willful defaults. Moreover, when money is lent against some security of some assets, the document must be executed in order to give the banker a legal and binding charge against those assets. Documents contain the precise terms of granting investments and they serve as important evidence in the law courts if the circumstances so desire. That’s why all approval procedure and proper documentation shall be completed prior to the disbursement of the facilities. Income Tax clearance certificate /TIN certificate. Declaration of liability position with other Banks (Up-to-date). Particulars of assets of the firm /company. Personal Assets of the proprietor/partners. Statement of receivable and payable. Partnership Deed (in case of partnership firm). Banks statement for prior 12 months from previous Bank (for new customer). Rental Agreement (in case of rented premises). Photocopy of share certificate (Attested by the managing Director). Resolution in respect of availing investment facility from IBBL (Amount to be specified. Bio-data of the Directors / Executive of key post. Balance sheet for the last three consecutive years. Original title deeds / Bai-deeds. The Bank transforms its money into goods. That after purchase of goods the risk of the goods is borne by the Bank until the possession of the Merchandise has been passed on the Client. That the specification of goods, deliveries date, time and place and other terms of contract are ensured. Any deviation from the above first two conditions will deteriorate the transaction into purely financing arrangements with the agreed profit, which will be nothing more than a camouflage for interest. After finalization of purchase of Bai-Murabaha goods either by the Bank Officials or through any Agent from the local or outstanding market, the Bank shall request the seller to deliver the goods purchased to the Bank’s Authorized Official/Agent/Representative/ Client acknowledgement. After taking delivery of the goods by the Bank or through an Agent, the Bank shall make payment of the price of the goods. The Bank does not invest in such cases where the Allotting Authority will not accept the Letter of Authority and agree to deliver the goods to the Bank as per authorization of the Allotted. Profit Rate – Floor Rate in different sectors & modes may fix and Branches may be permitted to bargain & negotiate profit rate at a rate above the Floor rate. Fix up the schedule of payment. Execute the Bai-Murabaha Agreement with Client. Deliver the goods purchased by the Bank to the Client. As per agreement to Pledge the goods with the Bank the Client shall sign the Pledged Deed and the goods will be kept by the Bank on Pledge. The Bank may, however, deliver the Pledged goods to the Client against Trust Receipt. To proper follow-up, supervision, recovery & adjustment bankers are filing client-wise with the Copies of Application, Appraisal Report, Sanction Advice and other Documents and Papers viz. Trade License, Income Tax Payment Certificate, Partnership Deed/Memorandum and Articles of Association etc. submitted by the Client with the Original Application. Copy of all correspondences made and reply received thereto is chronologically preserved in this file. The pages of the File shall be serially numbered and it is chronologically preserved under the joint custody of the Incumbent-in-charge of the Branch and the Officer-in-charge of Investment department. They will ensure adjustment of the Investment by the Client as per payment schedule. Maintain due date Diary and the due date Adjustment of payment of Investment. Regularly collect Market Price of all goods supplied to the Clients. Scrutinize and Analyze Price trends in the Market. Visit the Shops and Business Establishments of the Client regularly and ascertain his present business position. Profit and Loss Account and Balance Sheet of the Client’s business should be obtained periodically to ascertain state of affairs of the Business. If any Investment is secured Personal Guarantee of any third party, the Guarantor should also be brought under constant and effective follow-up. Do not allow Investment to become overdue in any way. If, any Investment becomes Overdue, all persuasive measures must be taken to recorder the outstanding amount immediately. The Client will be served with a Final Notice to make full payment of dues within 15 (fifteen) days from the date of Notice. Foreign Exchange means foreign currency and it includes any instrument drawn, accepted, made or issued under clause (13), Article 16 of the Bangladesh Bank Order, 1972. All deposits, credits and balances payable in any foreign currency and draft, travelers cheque, letter of credit and bill of exchange expressed or drawn in Bangladeshi currency but payable in any foreign currencies. Bangladesh Bank issues Authorized Dealer (AD) license by observing the bank’s performance and also the customers associated with the bank for conducting foreign dealings. So, Islami Bank Bangladesh Ltd. MIRPUR No-10 Branch is an authorized dealer. Over the last 10 years, the Bank has made a exemplary progress in handling foreign trade and foreign exchange business. The total foreign exchange business stood at Taka 20182.00 crore as against target of Taka 21600.00 crore. Achievement is 93.44% with growth rate 36.70% over the year 2005 they comparing to the last 5 years, they achieved highest of foreign exchange business in the year 2006. To handle foreign exchange business effectively and efficiently, the Bank has, over the years, developed a wide network of correspondents throughout the world. The Bank has correspondent relationship with 900 branches of 250 foreign Banks and exchange houses in 90 countries as on 31.12.2006. It is one of the top three thousand international banks of the world and its world-rank is 1200 in 2006. All charge outside Bangladesh is of account of (importer/ beneficiary). Date Of Payment: Usually payment is made within seven days after the documents have been received. If the payment is become deferred, the negotiating bank may claim Profit for making delay. Transmission Of Message: Message is transmitted to the correspondent bank ensuring that payment is being made. On 30/ 60/ 90/ 120/ 180 days of maturity period, deferred payment is made. Payment is given after realizing export proceeds from the L/C Issuing Bank. For Garments Sector, the duration can be maximum 180 days. In case of export failure or non realization/ short realization of export proceeds, forced Investment i.e. OAP has to be created in order to settle the Back to Back L/C payment. Export Registration Certificate (ERC): The exports from Bangladesh are subject to export trade control exercised by the Ministry of Commerce through Chief Controller of Imports & Exports (CCI&E). No exporter is allowed to export any commodity permissible for export from Bangladesh unless he is registered with CCI&E and holds valid ERC. The ERC is required to be renewed every year. The ERC number is to be incorporated on EXP (Export) Forms and others documents connected with exports. Sector (public or private) under which the exporter fails. Securing The Order : Upon registration, the exporter may proceed to secure the export order. This can be done by contracting the buyers directly through correspondence. Procuring The MATERIALS: After making the deal and on having the L/C opened in his favor, the next step for the exporter is set about the task of procuring or manufacturing the contracted merchandise. Registration Of SALE: This is needed when the proposed items to be exported are raw jute and jute-made goods. Shipment Of Goods : The following documents are normally involved at the stage of shipment: (a) EXP From, (b) photocopy of registration certificate, (c) photocopy of contract, (d) photocopy of the L/C, (e) customs copy of ERF Form for shipment of jute-made goods and EPC Form for raw jute, (f) freight certificate from the bank in case of payment of the freight if the port of lading is involved, (g) railway receipt, berg receipt or truck receipt, (h) shipping instructions, and (i) insurance policy. On March 24, 1994 Bangladesh Taka was declared convertible for current account international transaction. As a result remittance became more liberalized. Outward remittance include sale of foreign currency by T.T., M.T., Draft, T.C. or in case for private, official and commercial purpose. Travelers Cheque is an instrument for a special amount of a widely accepted foreign currencies, issued in favor of travelers/visitors to carry foreign exchange for meeting their expenses abroad. Traveler’s cheque may be in different currencies, such as US Dollar, Pound Starling, Japanese Yen, Saudi Riyal, Canadian Dollar, French Frances, German Marks, Swiss Frances etc. Like all other organizations IBBL is also composed of some internal strengths and weaknesses and also of some external opportunities and threats in its whole life cycle. Most of the people of our country are illiterate & semi literate & very much sensitive to religion and IBBL takes this opportunity without any campaign and promotion. IBBL is financially a sound banking organization. IBBL has a world class Banking Training & Research Academy. IBBL lacks proper promotion campaign. Crowd environment in the bank. Emergence of E-banking will pen more scope for IBBL. The worldwide trend of mergers and acquisition in financial institution is causing problem. Misconceptions about IBBL of the people. Up-to-date services of other private banks. As Islami Bank conducted under the guidelines and rules of Islami Shariah, but there is no separate sections for women entrepreneurs and women depositors. IBBL never wants to recruit the women employee, but they never discourage the women entrepreneurs and women depositors. There is no separate wash room and prayer room for the women clients. Crowd environment everywhere, there is no banking environment at all and clients acts as it is their drawing room. All the employees aren’t devoted minded. Weaker management system. One may be a good preacher that doesn’t mean he is a good banker but IBBL always gives priority to those who has special competence about Islam. No one stop service & no SMS banking or Tele banking. People have no proper knowledge and ideas about Investment mechanism and various products of IBBL. No expected campaign to remove the misconceptions of the people. IBBL couldn’t invest in all economic sectors which are prohibited by the law of Islam. No promotional activities to increase its present and potential investment client. IBBL doesn’t grant investment portfolio for new entrepreneurs, new businessmen, and new companies etc., which ultimately create “Class Banking”. There is no facility for the student to open account. Some of the rules and procedures of Bangladesh Bank goes against IBBL, and there are no separate rules and procedures for IBBL. IBBL should recruit women employee to serve the women clients and separate sections for the women clients. Need proper campaign and promotion to encourage people. Need one stop service to compete with other bank. IBBL should start SMS banking and Phone banking. IBBL should initiates different investment modes according to changing needs of clients by conducting huge research and study. IBBL should grants investment portfolio to new entrepreneurs to fulfill the vision of “mass banking”. For the convenient of Islami banking necessary amendment of rules may be recommended by the Bangladesh Bank..
IBBL should increase ATM booth. Bangladesh is a developing country. Without developing banking sectors it’s not possible to progress rapidly with the business sector of this country. In such a platform IBBL is trying to develop banking sector with an attitude of serving the people. Islami economy and banking are bound together. This economy and banking is not possible to establish without Tauhid, Resalat and trust of Akhirat. To implement and practice these isms with a scheme is very difficult. Even though Bangladesh is a muslim majority federation, banking is a system that is linked all over the world. So for a new banking scheme with different terms is always tough to get a position in the market and emerge with success. IBBL not only has dared facing all the obstacles but also managed to establish this system with great success. This bank has established the fact that it is possible for banks to operate their activities according to the rules and regulations of Islami Shariah. Islam is a religion for human welfare as well the social welfare. All the steps of Islam are only for the welfare for human being. So we can clearly state that Islami bank has emerged as a blessing for people and implementing a shariah based banking system has been a very brave approach.